If you suffer from jaw pain or stiffness, you probably think that a trip to the doctor will help. But your doctor may not be the best person to discover the reason for the issue. Jaw pain or stiffness is often closely related to your oral health and hygiene, which is why your dentist treats more than just your teeth and gums. In fact, they can help with a range of problems and concerns to do with your jaw and face. So if you have jaw pain or stiffness, it might be time to make a dental appointment to see if you suffer from any of the following issues. The temporomandibular joint connects the jaw to the skull. Problems with this joint can cause pain or stiffness in the jaw as well as a variety of other symptoms. There is no one known cause of TMD, though contributing factors may include genetics, injury, or arthritis. This disorder can be diagnosed during an oral exam, and there are a variety of treatments that can help including medications, oral splints, and mouth guards. Some very common dental problems such as cavities or gum disease can also cause jaw pain. Although these conditions don’t usually directly affect the jaw, the pain can radiate into the area. If you grind your teeth at night, then you’re probably unaware of it. Most people who grind don’t know about it until their partner points it out or until they suffer from jaw pain. Teeth grinding puts pressure on the teeth and the tissues in the mouth and jaw. It’s a very common problem these days and it’s easily solved with a trip to your friendly dentist and a custom fit mouthguard. It’s also really important that you address this problem because it not only causes pain, it can also severely and permanently damage your teeth and gums. Wisdom teeth start growing between the ages of 17 and 25. Unfortunately, sometimes there just isn’t room for them to come through. When this occurs they can become impacted, get infected, and even start to grow down into your jaw. It can cause a lot of pain and trouble when this occurs, so if your wisdom teeth are coming through make sure you visit your dentist as soon as possible to avoid any problems. An abscess occurs when the dental pulp or nerve of a tooth becomes infected. If you have a cavity that’s left untreated for a long time the bacteria can spread into the tissues surrounding the tooth. This can result in a great deal of jaw pain and discomfort. If you want to avoid this issue, you need to make sure you take care of your oral hygiene and address any problems as soon as they arise. If you have gaps in your teeth or severely damaged teeth then everyday activities like chewing can put stress on the gums and cause jaw pain. That’s why it’s so important to have a good oral hygiene routine and to visit your dentist regularly to ensure that your mouth stays in the best shape possible. 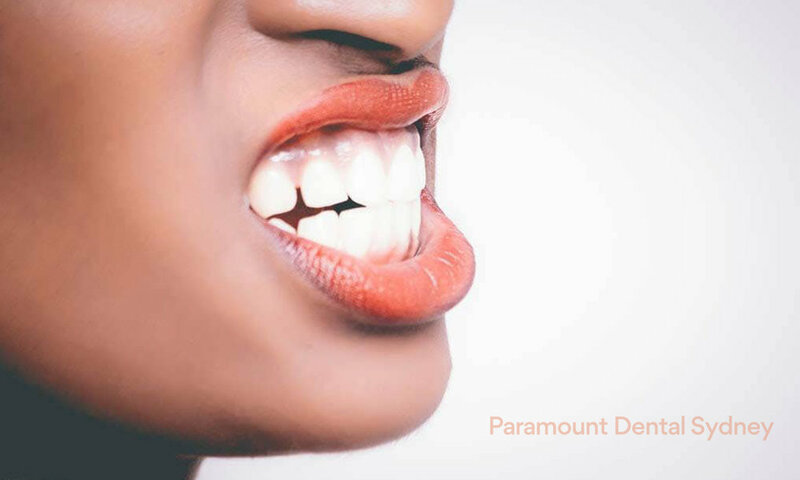 If you’re concerned about jaw pain, make an appointment with us here at Paramount Dental Sydney. Our caring and expert staff can help you find a treatment option that will bring back your smile. Older PostAre Braces a Never Ending Story?